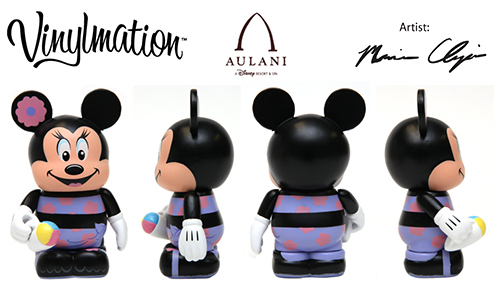 We saw photos at Mickey’s Circus, but now, in full 360 product shots, here are the 2013 Aulani Resort 3″ Vinylmation. Mickey and Minnie are ready for vacation. Mickey in his best Hawaiian shirt and Minnie holding a sno cone. 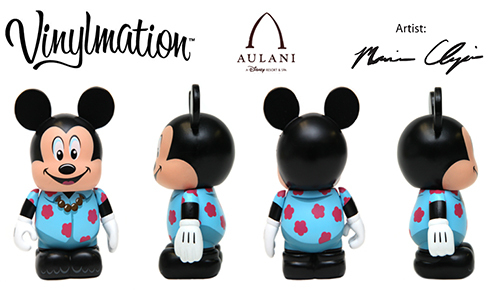 They will be sold separately at the resort for $14.95 each. They are marked as open edition, so they should be there for a while… you know, if your trip to Hawaii isn’t until next year or something. If your not traveling across the Pacific any time soon, the trading sites always have a few generous Hawaiians that will pick up figures for trade to mainlanders. That is funny. Just a camera angle I’m sure.